Harry Potter Group. 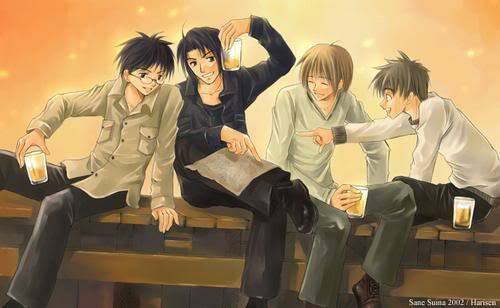 I dont own any of this fantastic art.... Wallpaper and background images in the ハリーポッター・アニメ club tagged: harry potter. This ハリーポッター・アニメ photo might contain 身なりの人, スーツ, パンツスーツ, よく服を着た人, and パンツ スーツ.